The course, designed by Pete and Perry Dye, is a Scottish style links course, meandering along the South Platte River. (The par 3 eighth is seen at right.) 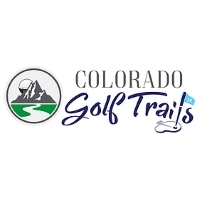 Plenty of pot bunkers, mounds and water, and (naturally) the trademark railroad ties, are featured on this consistently top-rated public golf course in Colorado! Please call 303-289-1500 for current rates. Call 303-289-1500 for rates and tee times. Contact Buffalo Run Golf Course at 303-289-1500 for more information and details on holding a golf outing at the course. Contact Buffalo Run Golf Course at 303-289-1500. Contact Buffalo Run Golf Course at 303-289-1500 for onsite or nearby dining options. This profile was last updated on 08/13/2018 and has been viewed 6,645 times.